On MSNBC's Lawrence O'Donnell show tonight, Roig Franzia of the Washington Post said the security and legal team representing Jeff Bezos believes it's possible the leaks of the Amazon CEO's texts, with accompanying intimate photos, were politically motivated -- and that a “government entity” accessed the material. It's hard to know why they make this claim, without more information. But — WOW. Lots of hoo-boy possibilities if it's true. They're not saying it's the U.S. government, and they're not saying it's a foreign government. • The Kingdom of Saudi Arabia? They know how to hack iPhones with 'Karma', right? • These random ex-NSA dudes in the UAE? What's the chance Trump *isn't* somehow involved in it. Lots of questions about how his data was compromised. Also, what kind of phone does Bezos use? Amazon's Fire phone exists, but... as Dan Nguyen points out in a tweet embedded below, he tweets from an iPhone. What kind of security would his phone software have offered or lacked? 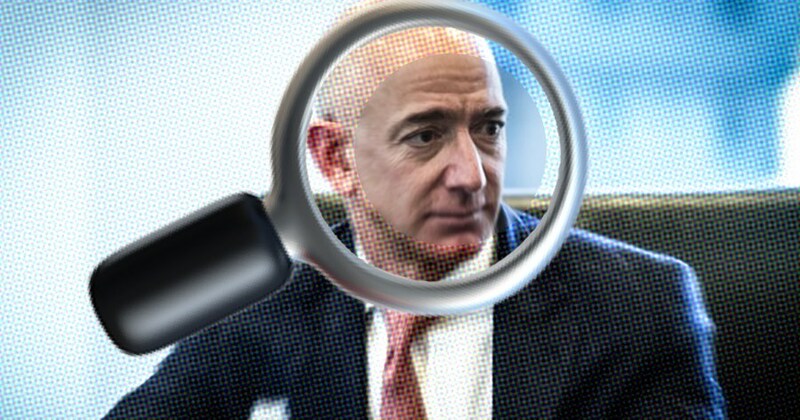 As @RoigFranzia carefully notes in his interview, Bezos team suspects a “government entity” might have gotten the texts. Not necessarily US government.